To update/edit the name servers for your domain, login into your hostControl account. Then select the "Domain Name Registration" menu item from the Domains section of the menu. Choose your domain from the drop down list and select "Name Servers". Here you can edit the existing name server details and select Update to save. If you are wanting to change the name servers to StudioCoast from an external provider, simply select "Set for Web Hosting" and our name servers will automatically be applied to the domain. Once updated, changes can take anywhere between 2 - 24 hours to propagate globally. 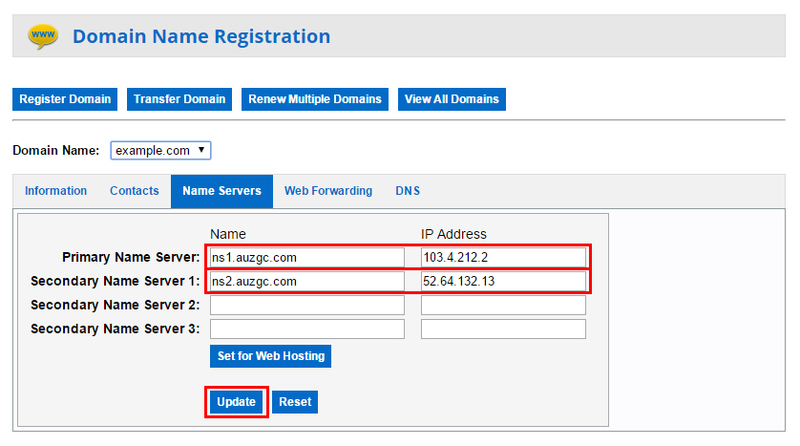 NOTE: You can only update the Name Servers on a domain through the registrar. 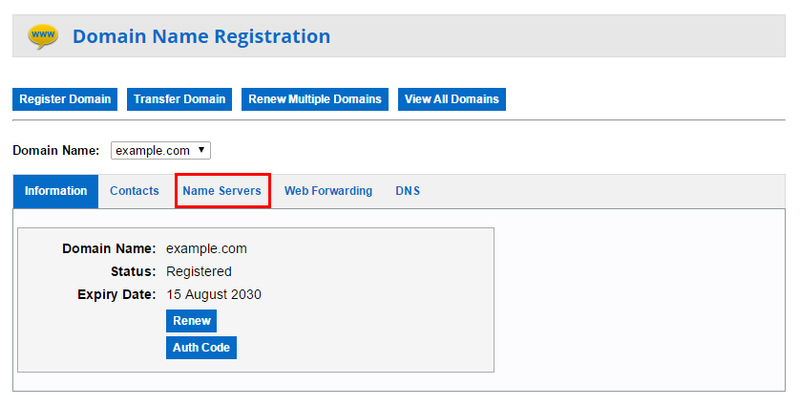 If the domain is not registered through us, it will not be listed under "Domain Name Registration". Therefore you will need to login to your domain registrar account if you wish to update the name servers to StudioCoast.